After I came out of hospital earlier this month, Adam would sit on our bed and tuck me in, making sure I was warm. He brought me my antibiotics on time, and breakfast in bed too. He carefully pushed the hair out of my eyes, cupped my face in his hands and kissed me. He would let me sleep in so that my shower was warm and bring me breakfast in bed. The love in his eyes was so sparkly. He's with me in sickness and in health. Getting used to my skin has been a challenge for him - and for me. I wrote about the adjustment here. I've never been more aware of my skin than when someone else tells me how it looks and feels from their perspective. It's been snowflakes on undress and the bearded lady in the morning. It's been confused temperatures and surprises at my voracious appetite. He's held my hand through blood tests and cannulas and seen my legs bloody and raw during infection. Still, he's stuck by me. The reality of Ichthyosis is that it's complex and needs explaining to new people. Just googling it is Russian roulette - there could be an image of a deceased foetus or an alarming statistic. 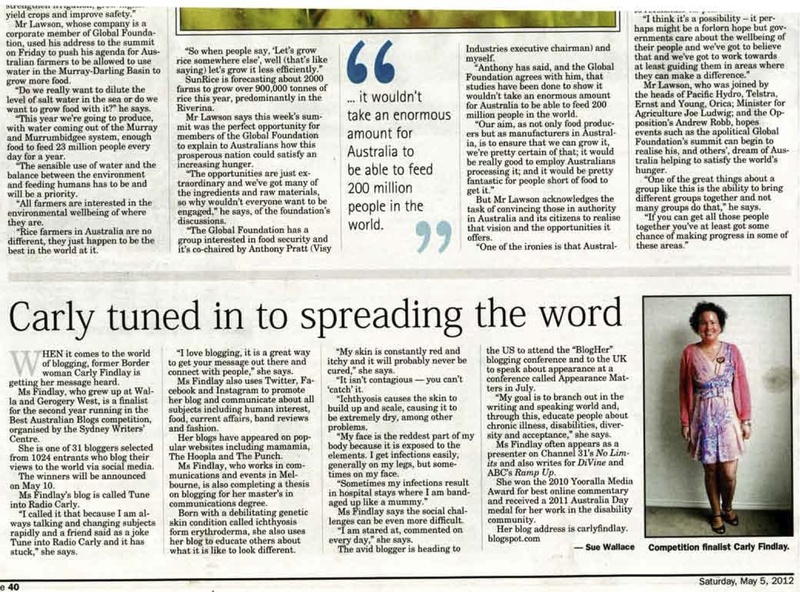 And so this is why I tell my own story here, on my own terms - so people understand it better and don't take sensationalism as gospel. I never want to create fear around Ichthyosis. That fear creates assumptions and prejudice. Friends with disabilities tell me the times when their partners have been praised for being brave. Courageous for supposedly giving up an ideal life to be with them. Saints for looking after them. Confident for holding their lover's hand in the street. It's a shame they're settling. Fortunately none of those things have been said to me, yet. But I wonder if people are thinking that? The last thing I want is to be a burden on my love. That's one of the biggest insults a person with a disability can receive. A burden. A liability. Dependent. A leaner. Like Graeme Innes (former Disability Discrimination Commisioner) writes, the concept of leaners and lifters is one that I don't accept. While there's a certain amount of time he will spend caring for me when I'm out of action, the majority of time I'm very active - managing my own self care, working at my day job and writing and social media to pay the bills and for luxuries like clothes and travel, and enjoying life. I've built independence and resilience and budget for my medication and have chosen an employer with adequate conditions to cover my needs. I have managed. And we will manage together. Of course there will be times when the roles will be reversed and I will be visiting him in hospital and cooking him chicken soup when he's congested. 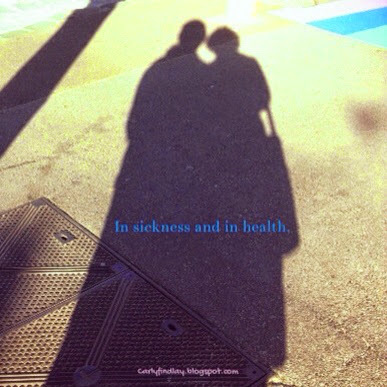 I'm with him in sickness and in health too. Maybe I wasn't the girl he imagined he'd spend his life with. Perhaps I'm a little more high maintenance than he expected. But every day he tells me I'm beautiful and he loves me. And I love him. Together we will make it through. As I wrote earlier this year, it will be hard but it will be worth it. 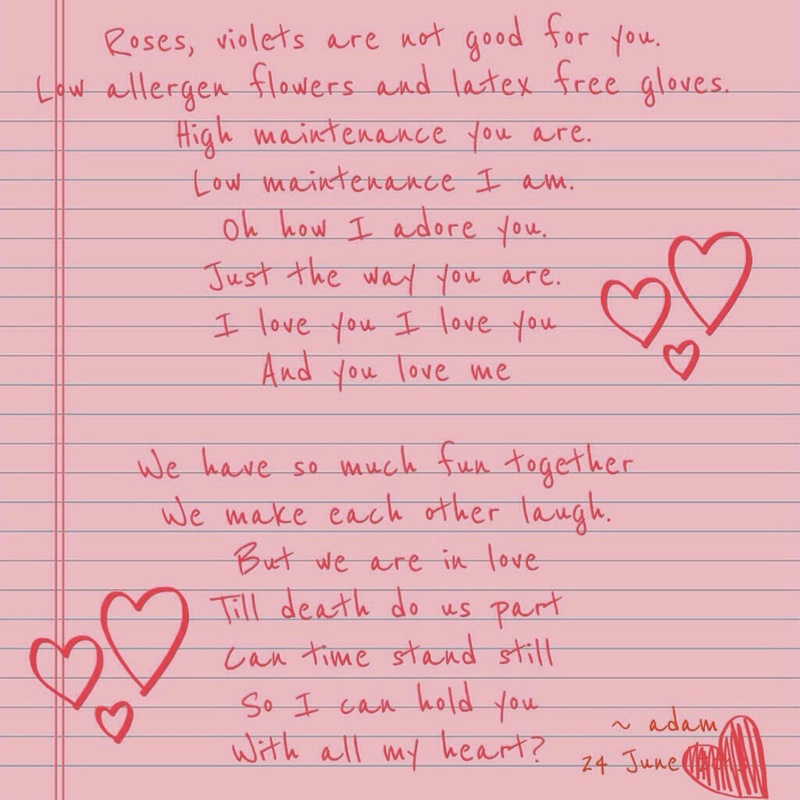 Adam writes cute poems for me, and this is one of his latest. I prettied it up through an app to treasure it forever. I am so lucky to have found this beautiful man to love! I am a bit disgusted by the comments that have been said in relation to your friends. No one ever knows how life is going to pan out, it can change in an instant and love needs to ride that, or it isn't love. I think most of us require a lot more care than we let the world see. I have so much respect for you, your writing and how that helps create the right kind of attention for people with a disability. It does make make me angry that we live in a society that perhaps makes you feel like you need to justify your achievements and needs though. Carly, this made me cry. The love that you share is a real and precious thing. I would rather have this kind of love than lots of money. It is much more valuable. Oh Carly....that is truly so romantic and loving!!! That is soul mate love..... It really has touched my heart ! !